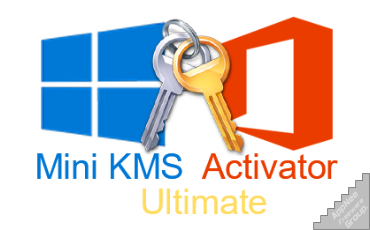 Mini KMS Activator Ultimate is a small, safe, simple and intuitive Windows & Office universal and offline activator based on KMS. KMS is a cyclic activation method. Its limited period of activation is 180 days, and you can renew it when it expires. Namely, you can reactivate it for another 180 days after 180 days, so as to achieve the purpose of permanently using your Windows/Office products. 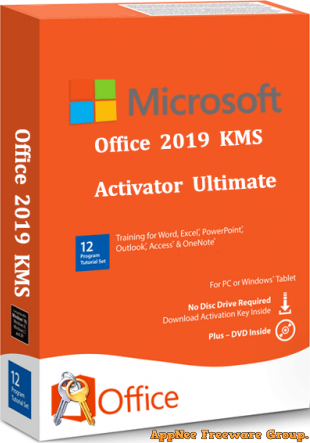 Office 2019 KMS Activator Ultimate is the latest universal activation tool for Microsoft Office 2019 all products, written in DOS commands (compiled as EXE), based on the classic and effective KMS activation method. It can help you activate all versions and all products of the latest MS Office 2019 in a more reliable way, including components and services such as Word, Excel, PowerPoint, OneNote, Outlook, Skype, Project, Visio and Publisher. 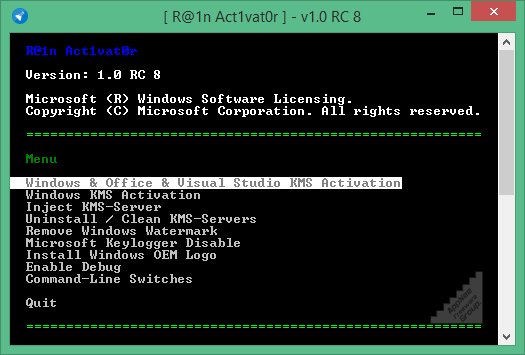 [email protected] Act1vat0r (AKA: Rain Activator) is a Windows, Office & Visual Studio all versions universal activator based on KMS activation method, made by [email protected]. Unlike [email protected]’s Re-Loader Activator, [email protected] Act1vat0r comes with the classic and clean DOS UI. TeamOS Activator is not an independent Windows/Office activator, but a repacked and assembled activators toolset, made by D4rkDeMoN and tomeCar? from Team OS forum. It can help you activate all versions of Windows and Office products in a more reliable way. 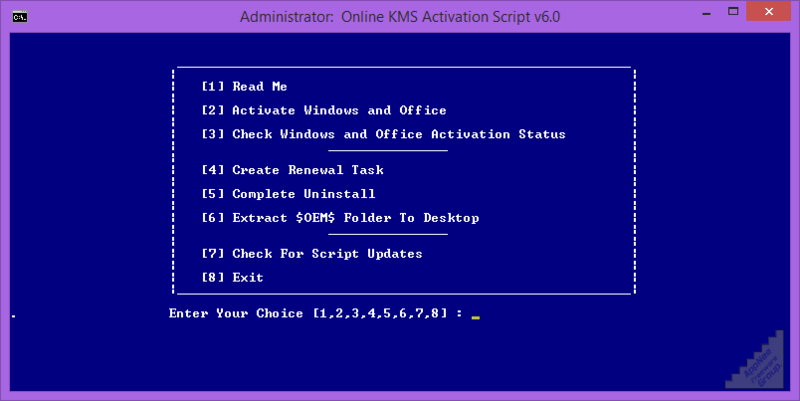 Online KMS Activation Script is a tiny command-line script application used to automatically and circularly activate VL edition of Windows & Office for 180 days with online KMS Servers. It was developed by WindowsAddict from nsane.forums. 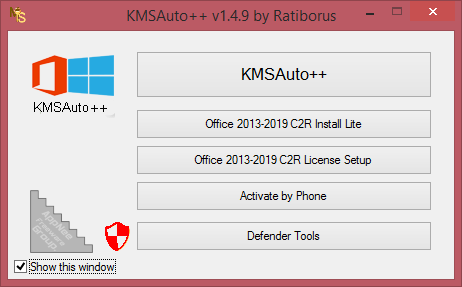 KMSAuto Helper is a relatively new, offline KMS-based activation tool for Microsoft products, written by Ratiborus from Russia. 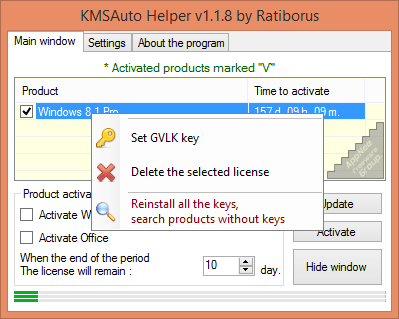 It uses the working mode of virtual machine, truly achieves the purpose of local KMS (Key Management Service, Volume Licensing) activation, and supports both LAN and Internet activation. 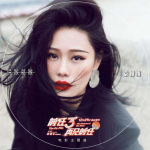 To a great extent, it has been regarded as a super convenient and effective Windows 10 activator by a lot of users around the world.